The second part is that I do not do any of these things alone. I am not a one woman band. I have a fleet of excellent professors and advisers at George Fox, they believe I can do this and they support me along the way. My husband is one of the smartest men I know, he takes the hard math and science questions. Over the years my parents have become tremendous support. I am a member of a small group that has been meeting for two years, we are multigenerational and the sustenance we offer one another is paramount. It was for certain paramount last Sunday, when they gently reminded me that I cannot do it all and further I'm not even expected to. I constantly draw insight and intelligence from my spiritual direction with children colleagues. I meet with a spiritual director regularly. Really this list could go on for days. My confession is that sometimes I do feel overwhelmed. I, now, understand that when I feel this way; it is time to take a look at my life. It’s time to take a break and discern if I have bought into the lie that I can do it all. The truth of the matter is that life is better lived intentionally. Prevalent joy in our work, even difficult work, can be had when we are intentional. A “boot strap” life is lonely and frankly I could never pull it off. (Think about that a minute.) As I grow older I much prefer the “Birkenstock life*.” Indulge me here…I can’t run in Birkenstocks. If I try they will fly off and hit the nearest child. Just saying. Further, when walking in Birkenstocks on a dirt road, rocks frequently sneak into my shoes, just to get me to stop and look around a bit. But if I need a shoe that will help me walk a steady, intentional, no frills, pace with others, this is a good choice. So how about you? What's your current shoe choice? (metaphorically speaking) What does this say about your life? Time to take a discerning look at your life, your use of time, your commitments? 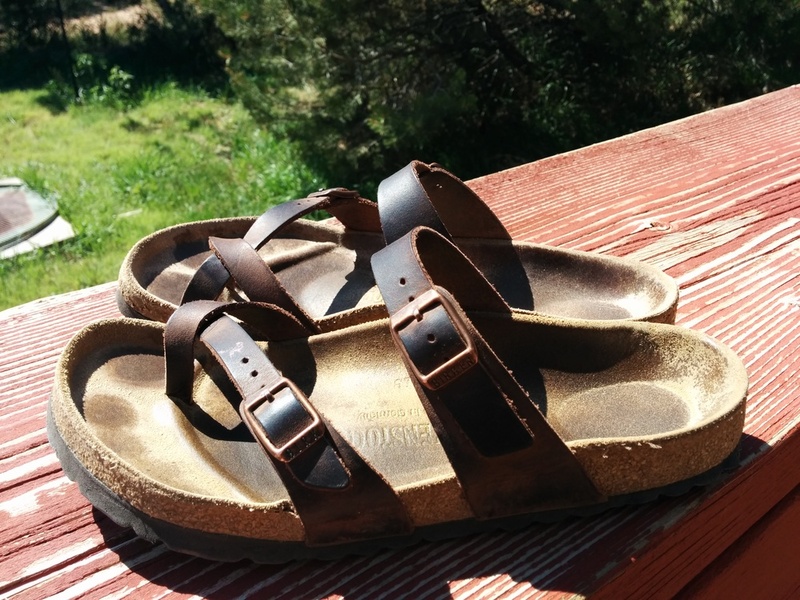 *Birkenstocks is the metaphor I'm using for the "going slowly and intentionally life."